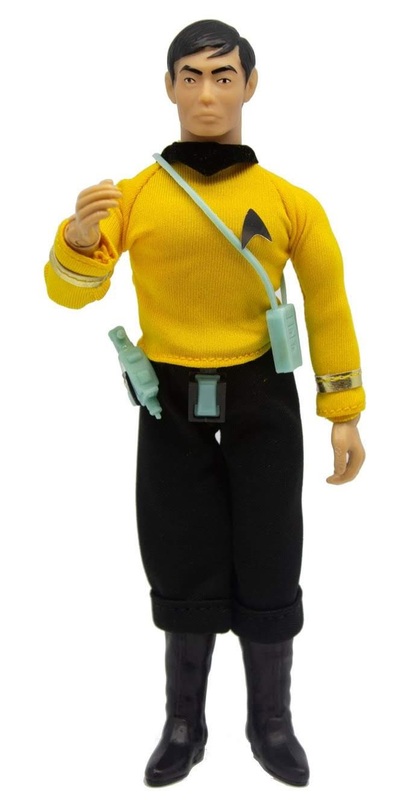 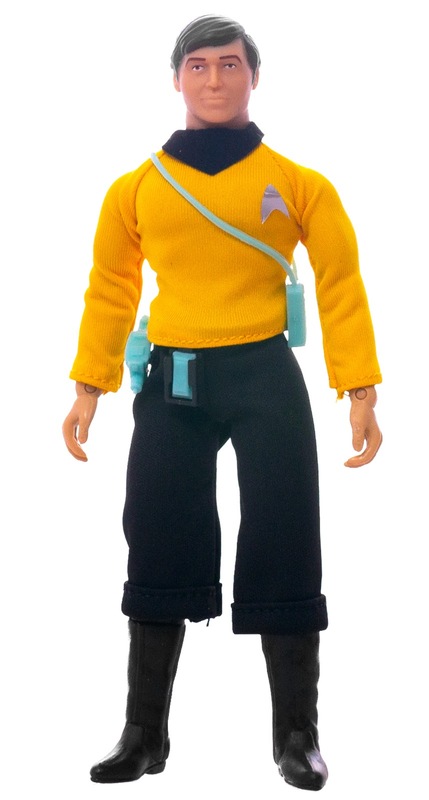 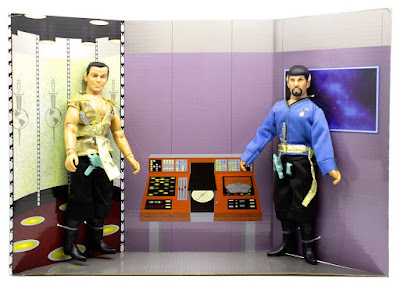 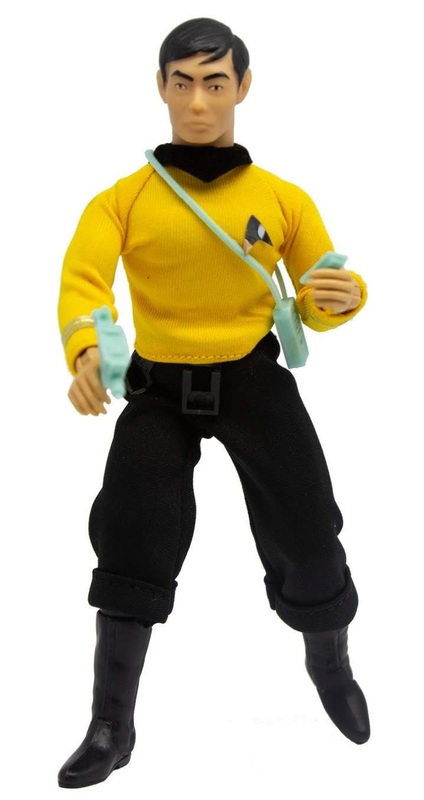 Following their announcement a few days ago that the Mego brand is being resurrected, the full first wave of figures, which will be available exclusively at Target from the end of the month, has been revealed at the San Diego Comic Con. 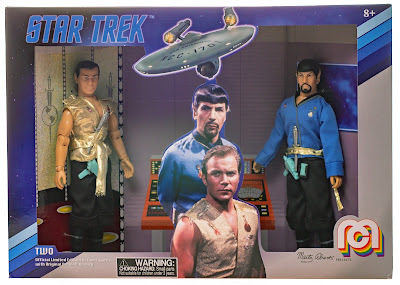 Mego fans will note all four of these releases are characters not released in Mego's original run, but are all characters Diamond Select Toys released in their own revival of the Mego format a few years ago - These look to me like new releases of the DST designs. 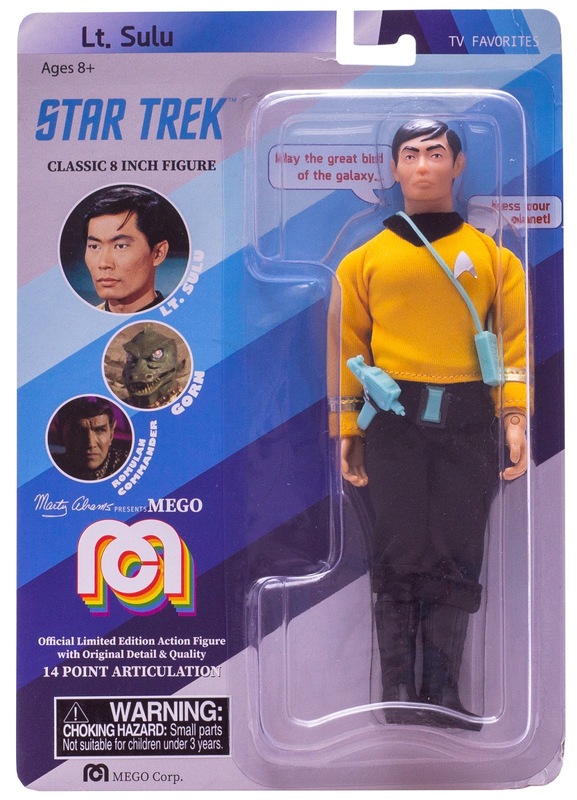 It will be interesting to see if Mego reissue some classic action figures too, or add any new ones to the range as it grows. 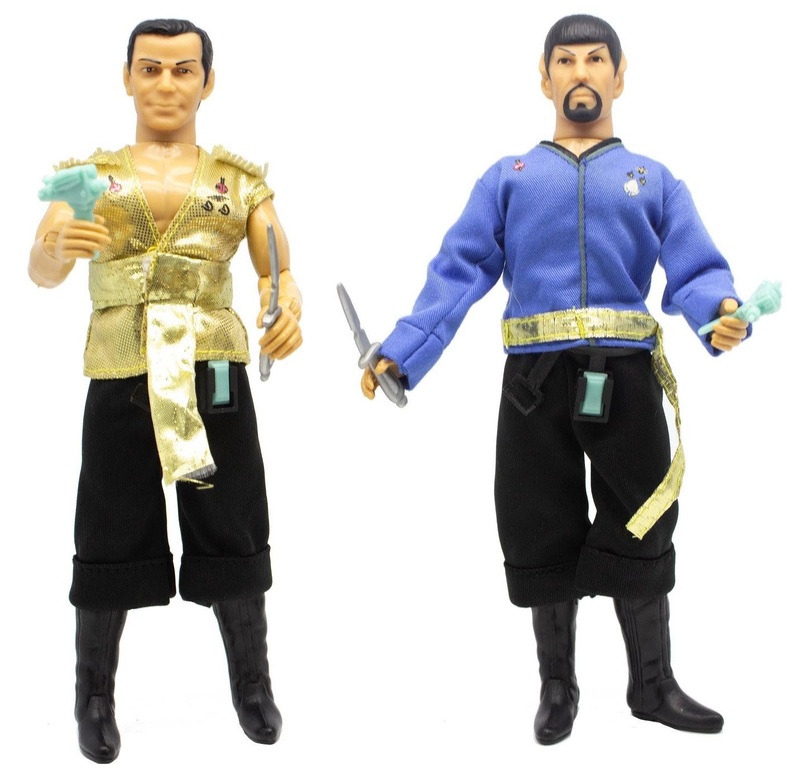 The Chekov and Sulu packaging certainly hint at both, with Chekov advertising the possibility of Kirk and Spock, and Sulu a Gorn and Romulan Commander. 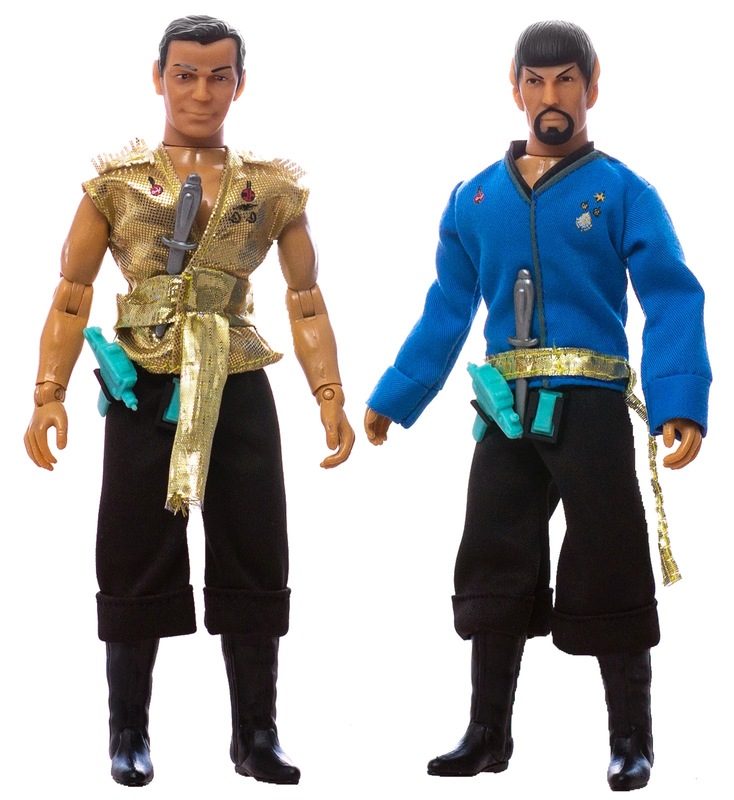 The original Mego line-up included Kirk and Spock of course, a rather inaccurate Gorn, and a generic Romulan. 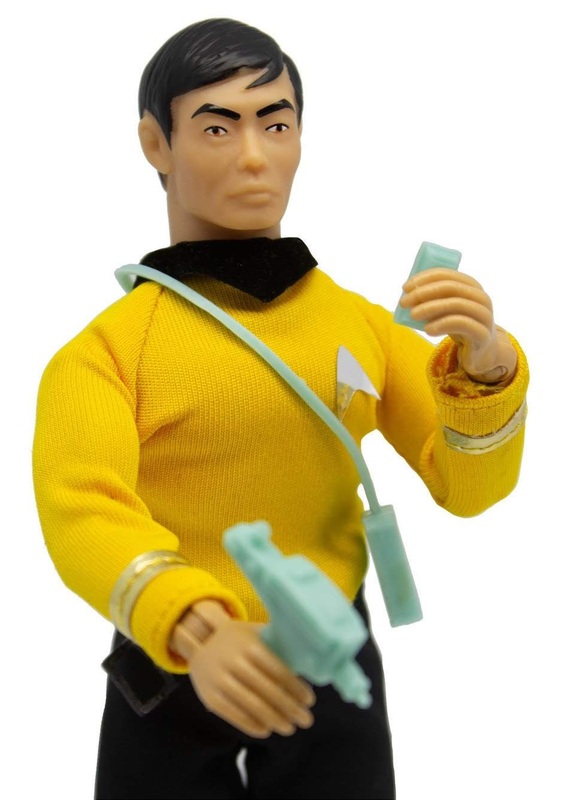 DST made a more screen-accurate Gorn in their range, which one hopes is what will be reused. 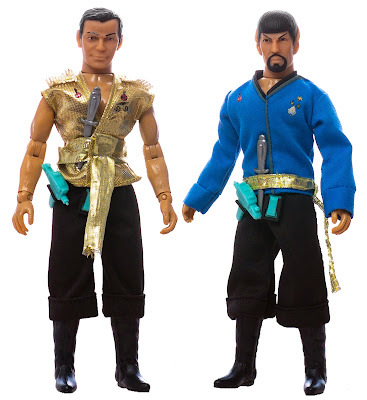 The Romulan is the big mystery, will it be a rebranded character specific release of the previous figure, or a new variant? 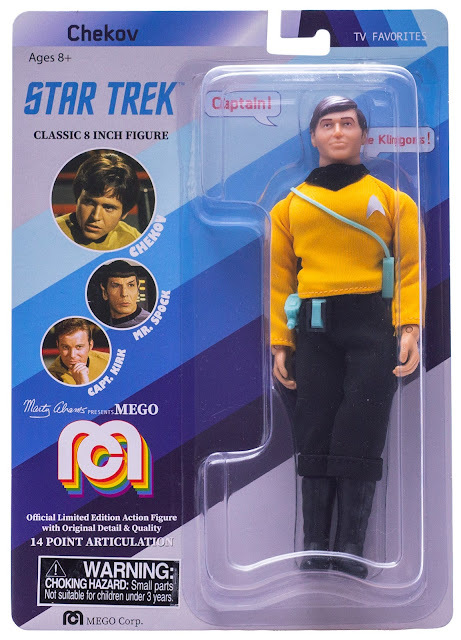 Not sure how long we'll have to wait for subsequent waves to find out, but if you're curious what else is in this first wave, Mego Museum have a detailed breakdown of everything else available, which ranges from Norm from Cheers and the Fonz, to Jimi Hendrix and Piper Halliwell from Charmed! 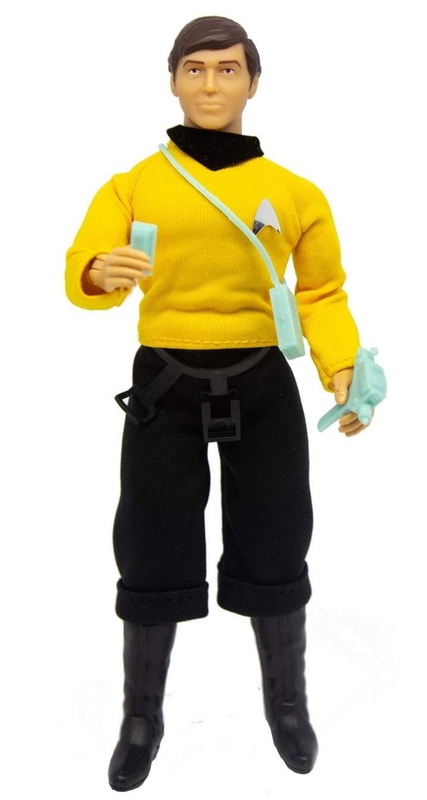 Some of these are also starting to turn up on the Target website already too, although they're not taking pre-orders, you'll just need to wait for them to come into stock in a week or so.